1. To provide the students an overview of the profession of Civil Engineering. 2. To give the students an illustration of the use and properties of various building materials and explain the building construction aspects. Civil Engineering as a profession; General introduction to history of Civil Engineering; types and classification of buildings; setting out of a building; Building materials - Stones, Bricks, Tiles, Cement, Aggregate, Cement mortar, Timber, Steel; Building Construction - Stone Masonry, Brick Masonry, Floors and flooring, Roofs and roof coverings. 1. Students will be able to explain the importance of Civil Engineering in the infrastructural development of the society. 2. They will be able to illustrate the types, uses and properties of various building materials. 3. Students will be able to explain the method of construction of different components of a building. • Mamlouk, M. S. and Zaniewski, J. P., Materials for Civil and Construction Engineering, Pearson Publishers. 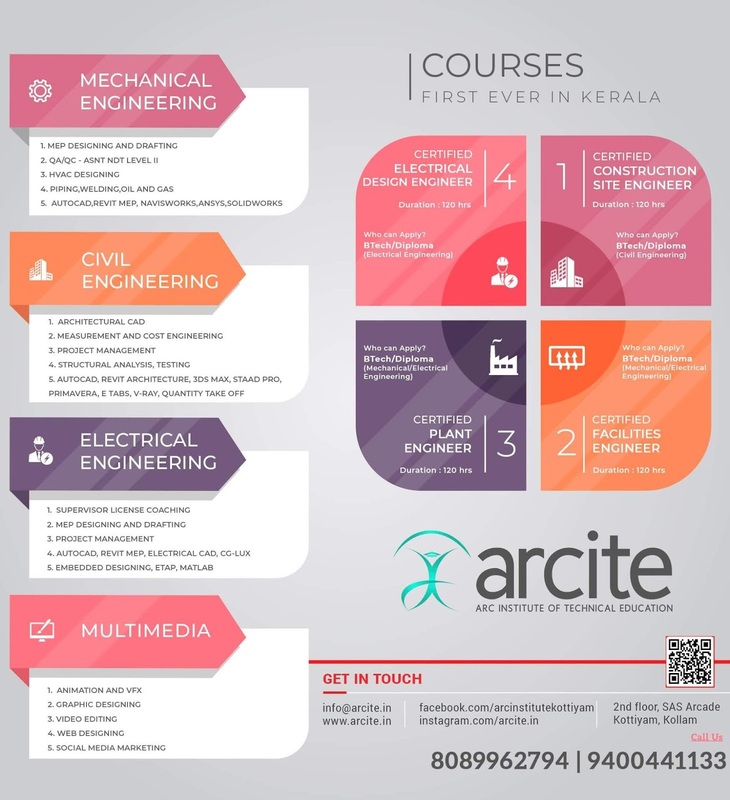 General introduction to Civil Engineering - History of Civil Engineering - Relevance of Civil Engineering in the overall infrastructural development of the country. Definition and types of buildings as per National Building Code of India (brief description only). Selection of site - Components of a building and their functions - Setting out of a building. Stones: Classification of stones - Qualities of good building stones - Quarrying - Dressing - Tests - Specifications - Uses of common building stones. Bricks: Composition of good brick earth - Classification - Qualities of good bricks - Field and laboratory tests - Specifications. Properties - Tests - Specifications. Aggregates: Fine and coarse aggregate - Properties - Uses - Tests. Cement Mortar: Types and preparation. Stone Masonry: Types - Details of Ashlar, Random Rubble, Coarse Rubble and Dry Rubble Masonry. English bond in detail (1, 1½ and 2 brick walls) - Comparison of stone and brick masonry. Timber: Properties - Uses - Classification - Seasoning - Defects - Preservation - Tests; Hard board and Particle board - Manufacture and use. Steel: Structural steel and steel as reinforcement - Types - Properties - Uses - Market forms. Floors and Flooring materials: Different types and selection of floors and floor coverings. Roofs and roof coverings: Different types of roofs - Suitability - Types and selection of roofing materials.